﻿ Best Price on Bed and Breakfast Blenchi in Banda Abou + Reviews! Set on the Santa Martha Bay of Curaçao, this luxury B&B offers a private Villa with views of the Caribbean Sea. Blenchi features an outdoor pool and free airport shuttles for guests renting a car. 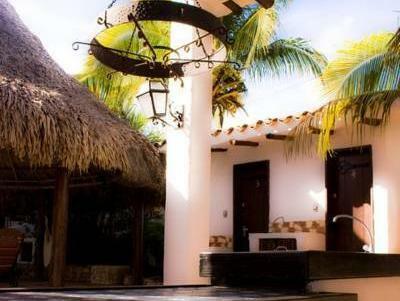 Rooms at Blenchi feature a beach-style décor and air conditioning. Some rooms have shared bathrooms, while others have an open-air bathroom. The Blenchi serves buffet breakfast each morning, and has a shared kitchen area. Coffee and tea is also provided daily. There is also a common lounge with TV. The pool area features loungers and 2 showers. Located next to coral reefs, this guest house can arrange many activities and water sports, like scuba diving or boat rides. Please note a deposit of 50% will be charged on your credit card after booking. The remaining amount will be charged by property upon arrival. American Express cards are not accepted to secure your reservation, you may be asked to change your card details if your reservation was made with an Amex card. Please inform Bed and Breakfast Blenchi in advance of your expected arrival time. You can use the Special Requests box when booking, or contact the property directly with the contact details provided in your confirmation.